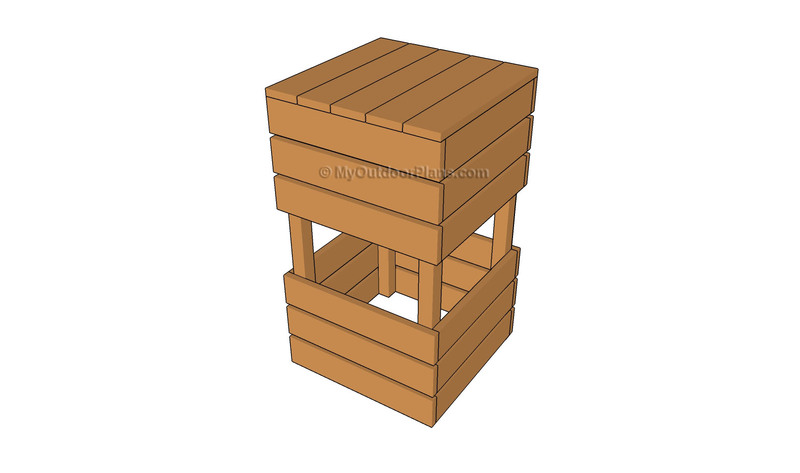 This step by step diy woodworking project is about outdoor bar stool plans. 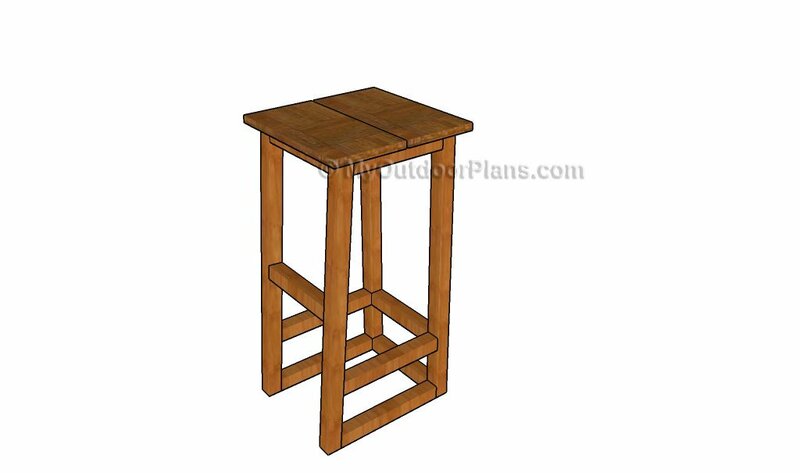 If you want to learn more about building a nice stool for your home or backyard, I suggest you to pay attention to the instructions described in the article. I have teamed up with Jack from HowToSpecialist.com for this project. You can see his step by step tutorial here. 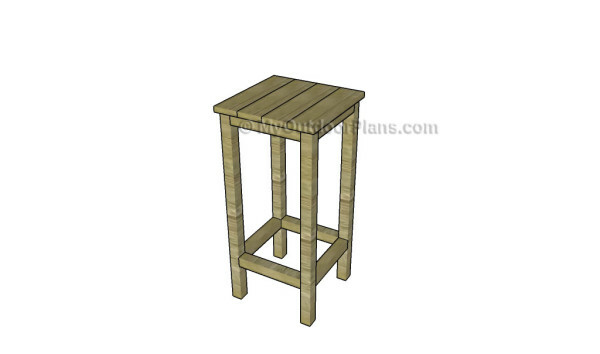 This is a rustic bar stool that is ideal for a wood bar or next to a stone wall. The first step of the project is to build the sides of the bar stool. 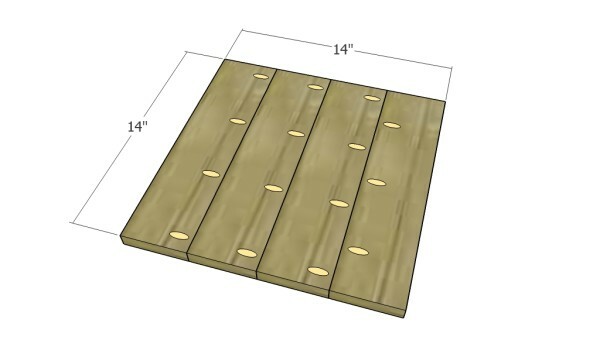 Cut the components out of 2×2 lumber. 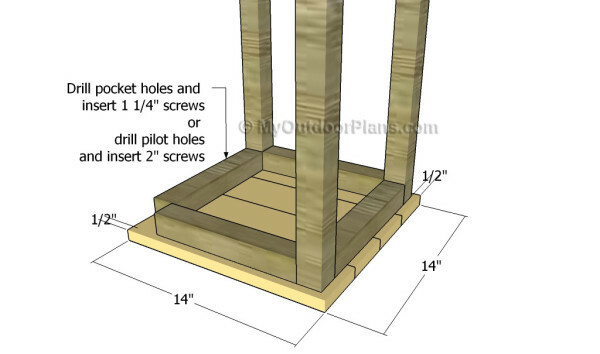 Drill pocket holes at both ends of the supports and insert 2 1/2″ screws into the legs. Make sure the edges are flush, add glue to the joints and check if the corners are square. Repeat the process for the opposite side. After building the two sides of the bar stool, you need to lock them together tightly by fitting the rest of the 2×2 supports. Drill pocket holes at both ends of the supports and secure them to the legs using 2 1/2″ screws. Make sure the corners are right-angled and align the edges before inserting the screws. Use 1×4 slats for the seat. 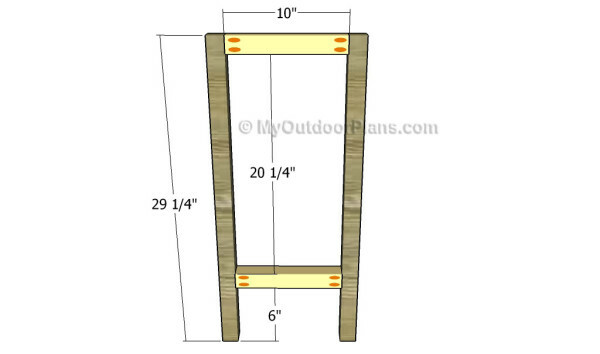 Cut four slats at 14″ and lock them together with pocket screws. 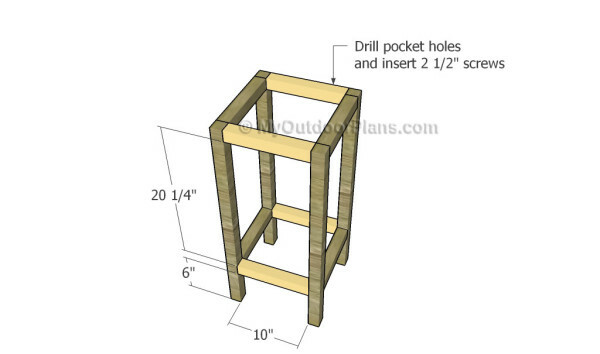 Drill pocket hole through the slats, as shown in the diagram. Add glue to the joints and clamp them together tightly. Make sure there are no gaps between the slats and the surface is even. Insert 1 1/4″ screws to lock them together. 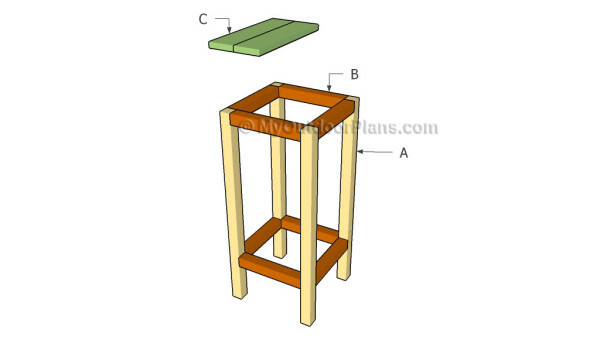 Center the frame of the bar stool to the seat, as shown in the diagram. Drill pocket holes through the frame and insert 1 1/4″ screws into the seat. Alternatively, you could drill pilot holes through the supports and insert 2″ screws into the seat. Add glue to the joints to enhance the bond of the components. 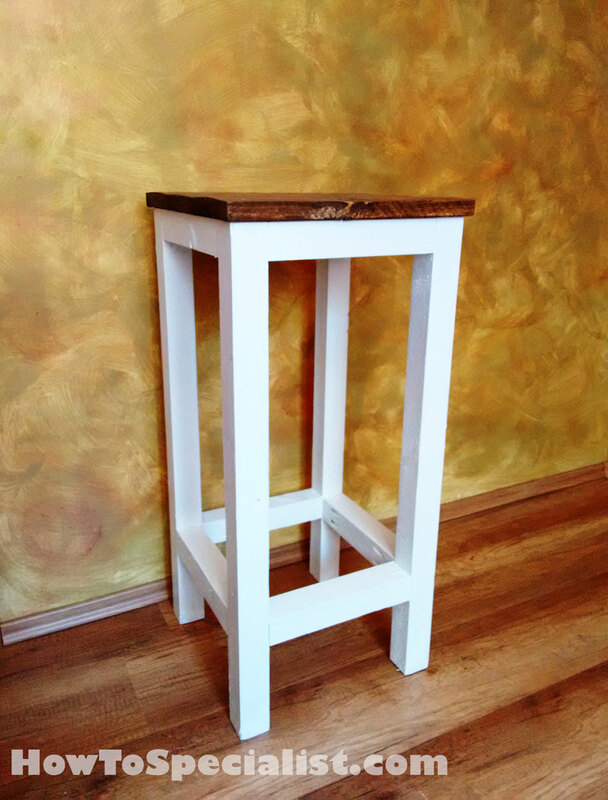 Top Tip: If you want to enhance the look of the woodworking project and to protect the bar stool from decay, we recommend you to cover the components with paint or stain. This bar stool is really sturdy and the best part is you can adjust the height so that it suits your needs perfectly. Don’t forget to take a look over a step by step tutorial here. I think the combination of the white paint with the walnut stain is truly amazing. In addition, I want to congratulate Jack for having done an awesome job on this bar stool. The lines are rough and this wood stool is perfect in a man cave or for an outdoor bar. I can’t wait for the next collaboration. 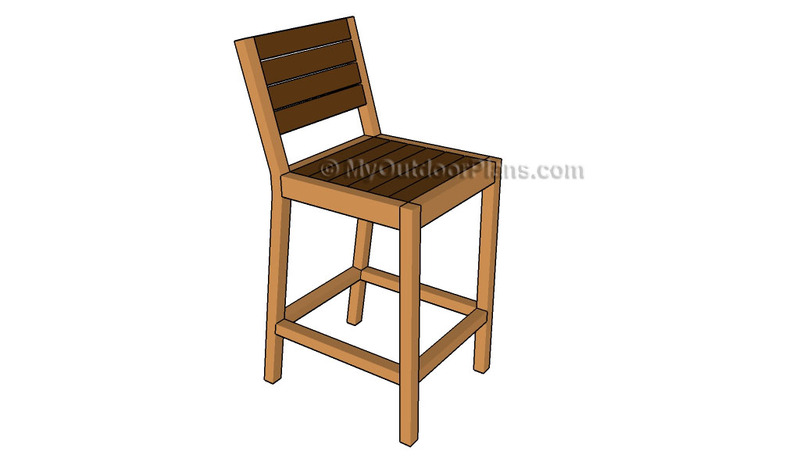 This woodworking project was about how to build an outdoor bar stool. If you want to see more outdoor plans, we recommend you to check out the rest of our step by step projects. LIKE us on Facebook and Google + to be the first that gets out latest projects.